After months of developer previews, Android Wear 2.0 is now ready for launch. Officially unveiled this morning by Google, the list of changes is quite large, so let’s dive into it and go over the features you can expect to find once your smartwatch is updated or you purchase one of those fancy new LG devices. Things like Google Assistant and Android Pay support are included, but beyond that, the way users interact with message notifications and even downloading apps from Google Play has changed. It’s quite the OS overhaul, so get ready to do a bit of reading. Google Assistant is now available inside Android Wear 2.0. With it, folks can ask about the weather, hail an Uber, or even make a reservation for dinner, all while “hands free.” To begin, simply press down on the device’s power button, which will bring up Assistant, then speak your inquiry or command. While it seems hard to label something as hands free when you have to actively press on a button, that’s the way Google describes it. In Android Wear 2.0, responding to messages is easier than ever. When a notification comes in, be it from Facebook Messenger, Glide, Google Messenger, Hangouts, Telegram or WhatsApp, users can swipe down on the notification and indicate how they’d like to respond. You can choose between dictating, typing, handwriting, or even drawing an emoji. There is also “Smart Reply,” which instantly suggests different responses based on the received message. Users on Android Wear 2.0 can now personalize the always-on watch face with information and actions from partner applications. For example, you can order an Uber ride via a watch face shortcut, start a workout, or get in contact with your partner in crime, all from a single click on the watch face. Throughout the day, if you need different actions for a certain task, different faces can hold different shortcuts and actions, meaning you can have different setups for home, the gym, and the office. ASUS ZenWatch 2 & 3, Casio Smart Outdoor Watch, Casio PRO TREK Smart, Fossil Q Founder, Fossil Q Marshal, Fossil Q Wander, Huawei Watch, LG Watch R, LG Watch Urbane & 2nd Edition LTE, Michael Kors Access Smartwatches, Moto 360 2nd Gen, Moto 360 for Women, Moto 360 Sport, New Balance RunIQ, Nixon Mission, Polar M600 and TAG Heuer Connected. 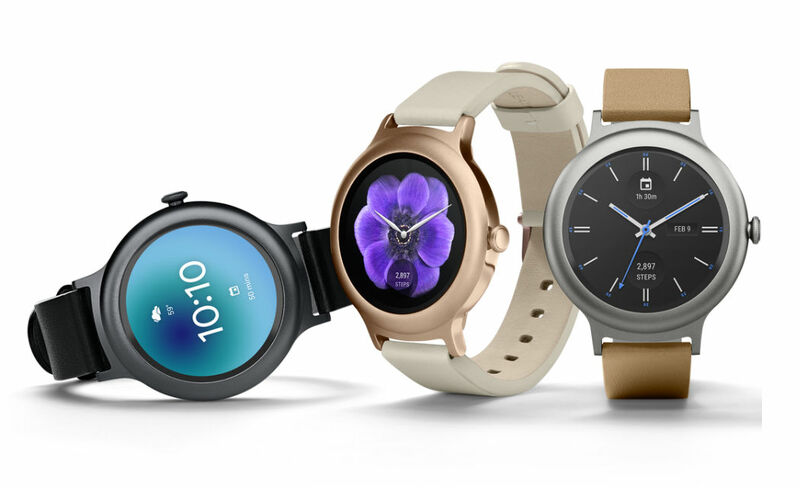 For even more details on Android Wear 2.0, be sure to check out Google’s complete blog post by following the via link below.